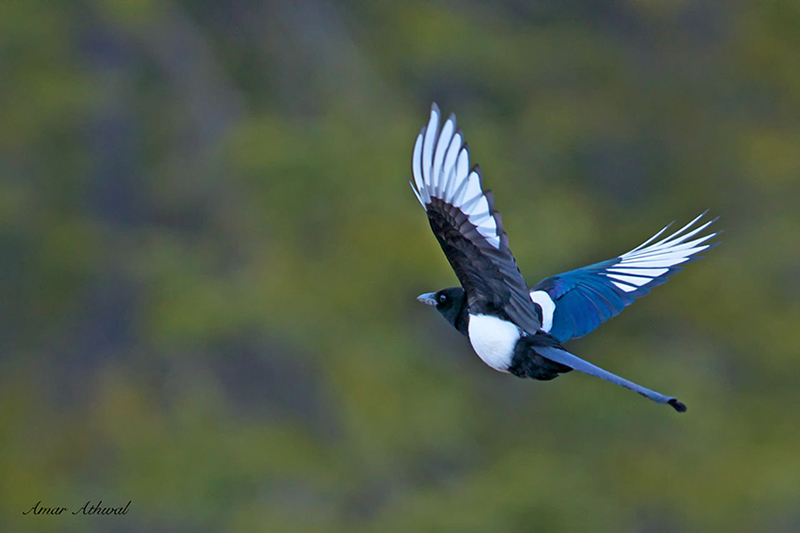 Black-billed Magpies are found in western part of North America. They are entertaining bird to watch, I have seen them go after various birds of prey, and playing with fawn and wolf pups. They never shy away from anyone.